Telangana Chief Minister K Chandrashekhar Rao was among the dignitaries present for the dinner. Separate arrangements were made for the 1,500-plus delegates of the Summit on the lawns of the palace. A five-course menu was reportedly part of the lavish dinner attended by Ivanka Trump and PM Modi. 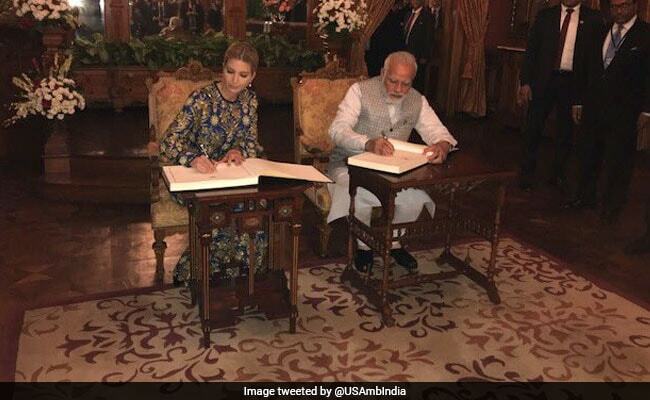 Prime Minister Narendra Modi hosted Ivanka Trump, the daughter and advisor of US President Donald Trump, for a gala dinner at Hyderabad's famous Falaknuma Palace today. The dinner was part of the ongoing Global Entrepreneurship Summit, where Ms Trump is leading a 360-member delegation from the US. 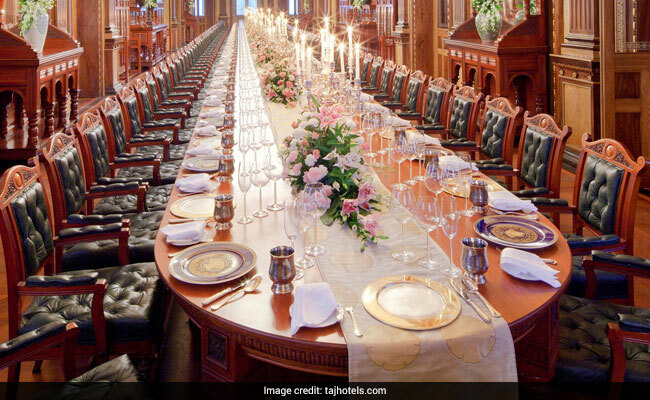 A five-course menu, inspired by Hyderabad's famed cuisine by a host of culinary experts, was reportedly part of the lavish menu. It also contained a mix of exotic Indian ingredients and delicacies like dahi ke kebab, gosht shikampuri kebab, kubani ke malai kofta, murg pista ka salan and sitaphal kulfi will be presented over several courses - Aghaz (soup), Waqfa (sorbet), Mezban (appetisers), Mashgool Dastarkhwan (main course) and Zauq e shahi (dessert). The dinner was hosted at the famous 101 dinning hall at Hyderabad's Falaknuma Palace. Falaknuma, was the residence of the sixth Nizam, Mir Mahboob Ali Khan, till his death in 1911. A decade ago, it was turned into a hotel after restoration by the Taj Group. The hotel still has a famous Nizam-era table, which can seat 101 guests at a time. The grandson of Mir Osman Ali Khan, the last Nizam, however, expressed disappointment that the family was not invited to attend the dinner. Najaf Ali Khan said despite several letters to Niti Aayog, which organised the summit, he received no response. "I, being the grandson of the erstwhile Royal Family, deserve an invite as the Palace is an important landmark both in our family's history and also in the history of Hyderabad," Najaf Ali Khan said in a statement today. In her keynote address to the summit today, Ms Trump praised PM Modi for what he was "doing to build India as a thriving economy -- a beacon of democracy -- and a symbol of hope to the world." She also quoted her father, US President Donald Trump, to say that "India has a true friend in the White House." PM Modi - who had invited Ms Trump to India during his visit to the US earlier this year -- had a meeting with her on the sidelines of the summit. Sources said he gifted Ms Trump with a wooden box embellished with Sadeli craft - a form of marquetry that originated in Iran and has flourished in Surat. The highly skilled craft involves fabricating geometric patterns in wood, which is traditionally used for decorating doors, windows, furniture, jewellery boxes, containers and photo frames. Hyderabad has turned into a fort for the VIP visit, with more than 10,000 security personnel, sniffer dogs and a special team to watch for suspicious activities or people on the road. Ms Trump, who arrived early this morning, will leave tomorrow afternoon.